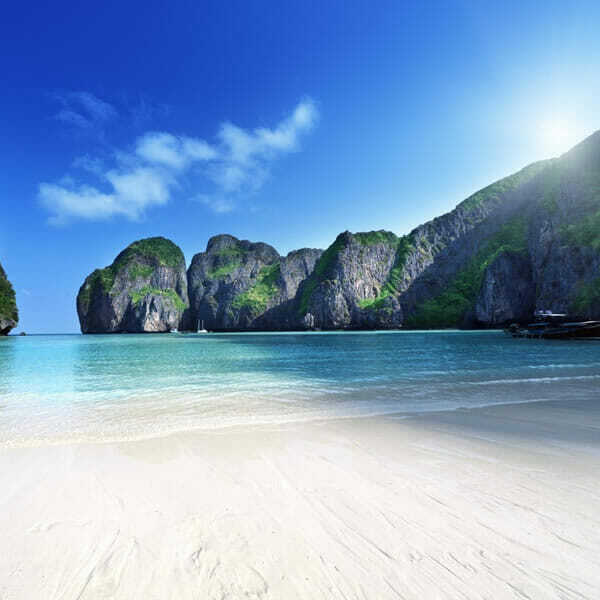 The best snorkeling Luxury Tour to Phi Phi Island; Full Day Phi Phi Island Sunrise Tour by Speedboat from Phuket is the most popular activity in the region with other regular full day tour to Phi Phi islands. With this particular sunrise tour you will enjoy Natural Park Fees included in the Tour Price, check in at Luxury Royal Phuket Marina Pier and Breakfast as well as delicious Lunch included in the Tour Price (at Bamboo Island), full Snorkeling Gear included in the Tour Price, free pick up and drop off at Your Hotel everywhere in Phuket. With this very best of all Phi Phi Island Tours, enjoy the ride on a premium speedboat with Professional Tour Guide and experienced Crew and Captain! 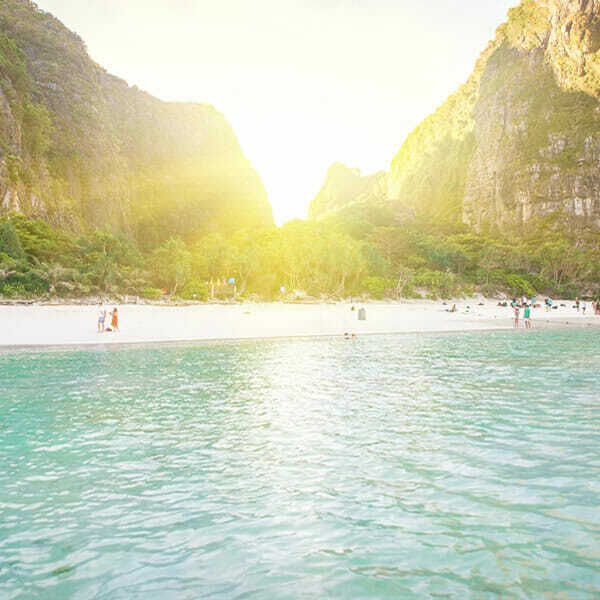 In this Phi Phi Island sunrise tour you will see all best attractions including sightseeing Maya Bay when few other tourists are there. 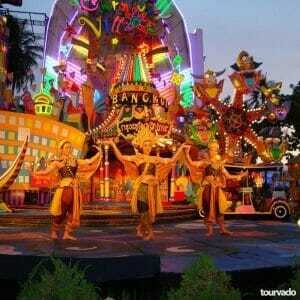 The tour depart to Phi Phi Don island to enjoy visiting Monkey beach, Viking cave, Pileh Lagoon, to explore and relax at Maya Bay (where the movie ”the beach” was filmed) and swimming with the company of colorful tropical fishes. Sunrise Phi Phi islands tour starts with pick up from your hotel at early morning, usually from 5.00 am to 5.30 am, for a minivan transfer to the Royal Phuket Marina most luxury pier. After breakfast and briefing sunrise Phi Phi islands tour depart, checking in at the Marina Lounge you will enjoy a really complete breakfast with coffee and tea, we will start briefing time, you must take your time to try out your snorkeling gears. 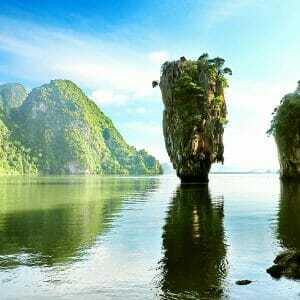 The navigation to Phi Phi island take place during sunrise (Phi Phi early bird tour) and directly arrives in Maya Bay area for sightseeing (where the movie ”the beach”was filmed) while is most empty as a highlight special for this amazing tour. 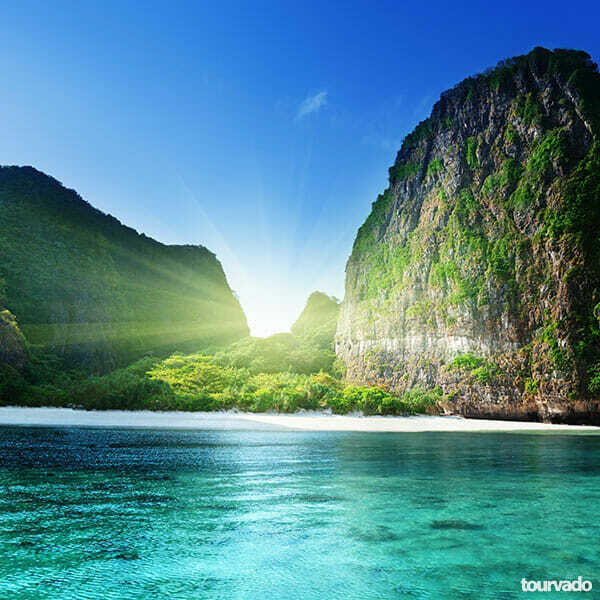 We will explore and discover this truly amazing paradise covered with white sand, tropical vegetation, crystal water and mountains with the best tranquility and serenity of the sunrise time (Phi Phi early bird tour). 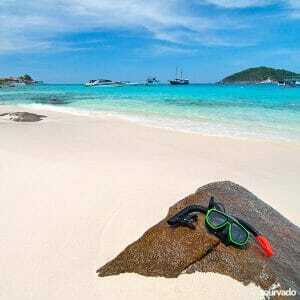 We than move on to the Viking cave, to Loh Samah Bay and Monkey beach for your sightseeing. Let’s jump from the boat in to Pileh Lagoon, the most emerald Lagoon with limestone mountain cliffs and crystal snorkeling points. Sightseeing at and snorkeling time continues at Bamboo island, along with lunch meal. Departing from Phi Phi Don island we go to enjoy sightseeing at and snorkeling at bamboo island, a wonderful place, another Natural Park, to relax, to enjoy a delicious lunch served ( choice of Thai and western ) on beach side restaurant! 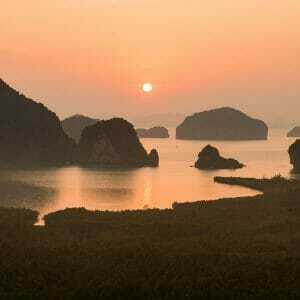 Ending the sunrise Phi Phi island tour we depart to Royal Phuket Marina and organize your transfer back to the hotel. 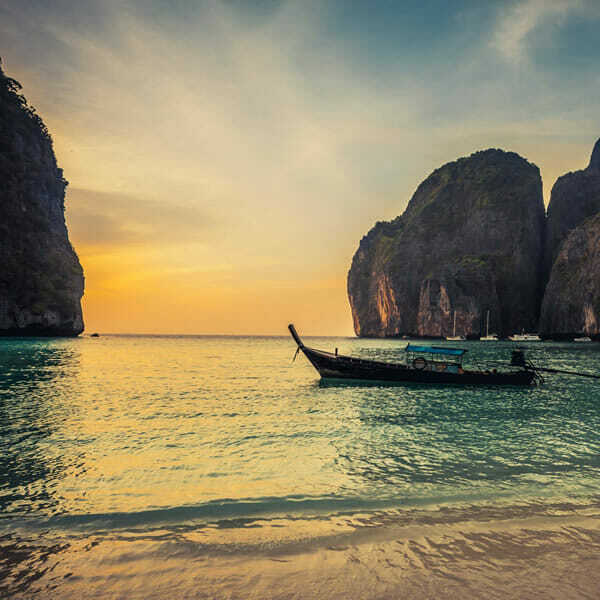 Phi Phi island sunrise tour program may change depending on tide and weather conditions, the itinerary and timing above are approximate and may be modified without notice to fit the tide and local weather conditions. We got this really good tip chatting with you guys! You recommended us this sunrise tour to avoid the crowds at Phi Phi Island and… it was really the best way to enjoy all the places with no rush. The all day was beautiful anf the crew seems extremely profesional. We also had a nice breakfast at the luxury Pier and they were really on time at pick up. Many thanks for your suggestions because this tour was really great and we really did not see any particular crowd of ogher tourists. We were 3 and we had really good time with no rush and we could take many amazing pictures! We wanted to see Phi Phi island with all its true beauty, with no other crowds around, we just got the perfect tour for this. Thanks to the crew and to the guide they were all very nice with us. We could even leap off and jump how we wanted from the front part of the speedboat. There were not very many people about, the lunch was fantastic. Quite pleasant islands. Snorkeling was really wonderful. Always my own pleasure. We had been supplied with a few light breakfast prior to leaving the ship. There was lots of time to enjoy swimming and swimming in every area. The lunch place has been a highlight it’s situated on a private island, so that the free time and menu were very favorable. This was a really nice tour, so nice staff and amazing value for all we got and all the really good service we received. All destinations are so beautiful! Thanks a lot for the incredible service and the support, the sunrise trip and the time we could spend in those splendid islands.